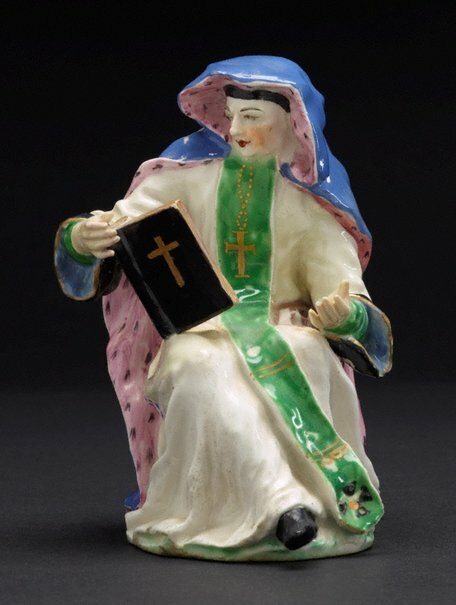 Along with other English factories such as Chelsea, Derby, Longton Hall and Liverpool, Bow produced a number of figures of catholic monks and nuns based on prototypes modelled at Meissen by Kändler. 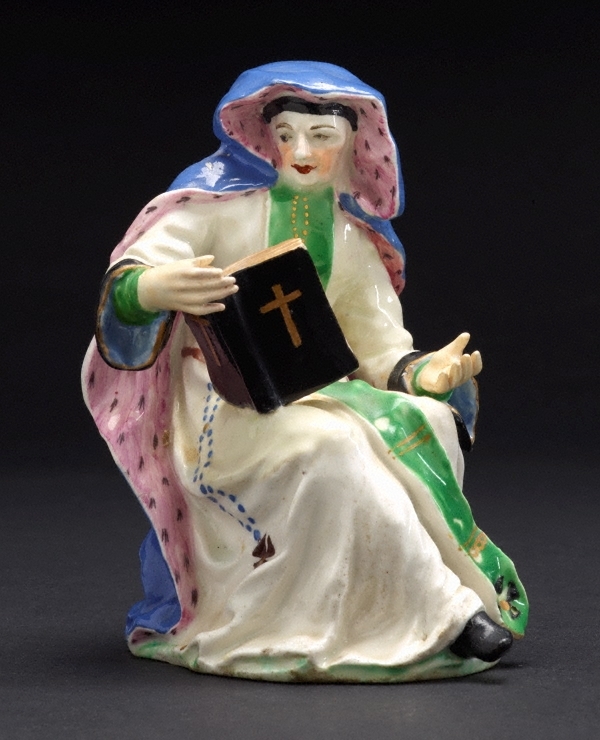 The present figure of an abbess was issued with a companion of a novice holding a large holy book in both hands. The same figure could also be adapted as a monk.